For many years I have been very concerned about elderly cryonicists who live alone. Too many have died and not been discovered for days, as recently happened to Cryonics Institute Member Hugh Hart. The degradation of brain tissue which occurs under these circumstances seriously undermines the prospects of future restoration of personal identity and memory. Daily checkup calls or e-mail messages are not without value, but still can mean up to a day or more before discovery. Even couples often spend hours apart engaged in solitary activities -- or could lie beside each other in bed for many hours without knowing their partner had deanimated. Cryonicists have proposed systems that monitor activity in bed, either from bedsprings or from a mat placed under the sheets. In the mid-1990s Alcor Member Hara-Ra (now cryopreserved) was working on a wristwatch-type pulse monitor, but gave-up on the idea partly because he thought it would soon be commercially available for consumer use. In the late 1990s when I was with CryoCare I tried to work with Billy Seidel to adapt the Polar Heart Rate Monitor (which transmits electrocardiogram information from a chest band to a wrist-watch) to cryonics use. But after a while Billy too gave-up on the project because of expectations of commercially-available systems becoming available soon (we are still waiting). Billy Seidel also developed a Deanimation Alarm System that can call up to four phone numbers if a bed mat or bedroom motion detector senses no activity within an hour. The system also includes a pendant push-button device. The system is inexpensive, but could be tedious and technically challenging to obtain all the parts and self-assemble based on the specifications available on the web. It did appear that commercial vital signs monitoring equipment would be on the market in 2005. The most promising candidate was the Life Shirt System, made by VivoMetrics. The Life Shirt can monitor respiration, EEG, blood pressure & other vital signs -- and wirelessly communicate this information. This system has been widely publicized for many years. There are no technical obstacles, the product has already been built and is in use by academics, the military and pharmaceutical companies doing clinical trials. Government regulators stand in the way of allowing use of the product by consumers. I was told by a VivoMetric representative that the product would be available in 2005, by which time approval by US government regulators was expected. I was also told of a product expected in 2005 by a representative of the Canadian company Medical Intelligence, which makes a wireless cardiac alert system linked to GPS. Once the product is approved by the Canadian government it was expected to sell for between Cdn$1,000 and Cdn$1,500. The simplest and most widely available personal emergency systems use bracelets or pendants with push-button devices that communicate wirelessly to a console attached to a telephone. When the button is pushed, a control system manned at all hours is contacted and personnel attempt to talk to the customer through a speaker on the console attached to the phone. If there is no response, emergency numbers previously supplied by the customer are called. I know a cryonicist who says that his grandmother's life has been saved more than once by such a system. Robert Ettinger has kindly agreed to be a test subject for emergency response systems. The first system I obtained is the Pioneer Emergency Bodyguard. The service costs $34.95 per month and requires a 6-month initial contract. There is always a special offer giving the first month free if you apply before a certain date near the end of the month. They have a sleazy feature based on renewal in 6-month blocks and a 30-day notification required for cancellation. Robert wore his "panic button" (as he calls it) on a pendant around his neck. By pressing the button in an emergency the central station operator would call the CI facility, Robert's son David and perhaps his cardiologist or funeral director. If the button is pressed accidently the central station operators can be informed of the false alarm through the voice-box on the console. Robert has triggered a number of false alarms, which has made him conscious of how frequently he presses objects to his chest. He shortened the pendant so it was closer to his neck and he became more careful not to press objects against his chest. Although the pendant is waterproof, he did not wear it in the shower. We found the company unpleasant to deal-with and returned the device. A how to choose guide for this type of system is offered on the Lifestation website, which has a similar product. A limitation to these systems is that they are only for home emergencies. To deal with away-from-home situations I got Robert the Magnavox MobilePal+GPS System. This system uses a walkie-talkie-like console that can be worn on the belt. If, for example, Robert was in an automobile accident he could press a button on the console. The central station operators could call 911 and direct emergency response personnel to the location indicated by the GPS locator on the console. A 95-decibel alarm on the console would sound to attract help. And the central station operators could also phone the CI facility and others. The company also permits casual use of the device. For example, if Robert was on his way to visit his son David, he could press the console button and tell the central station operator: "Call David and tell him I will be late because I am stuck in traffic ". The Magnavox MobilePal+GPS costs about $130 to purchase, plus $19.95 per month for central station support. The monthly billing can be done by automatic withdrawals from a bank account or credit card. Robert Ettinger was using both the Magnavox and Pioneer systems, but he felt that a system that did not involve central station operators or a monthly fee would be more economical. I did manage to locate one such system, but it has proved to be a frustrating, time-consuming and expensive proposition -- and it is still not functional. A Do-It-Yourself (DIY) system (aka Neamatt) seemed to be what I was looking for. It offered an option of a push-button wrist transmitter that connected to a console that would automatically dial a list of numbers and transmit a pre-recorded voice message to those numbers. A single purchase of $345.00 would be all that was necessary. The website, however, seemed to be permanently under construction. When I finally contacted the salesperson selling the product it took him over a month to sell it to me because he was trying to figure-out how the system works. Only after I got the product did I discover that it is preferable to buy it directly from the manufacturer rather than this broker. The manufacturer is Linear Corporation. But even the website of Linear is insufficiently informative. The package of products I have now assembled associated with the PERS_2400A has cost $700 and it is still not working. If I can get it working it could be a good system. The console can receive signals not only from a "panic button ", but from a smoke detector and a motion detector. The motion detector can be used to detect unwanted motion (an intruder) or inactivity (optionally 8, 12 or 24 hours). Thus, if Robert Ettinger were not to cross the path of the motion detector placed in the bathroom for an 8-hour period, the console would automatically dial a list of pre-selected numbers which could include the CI facility and Andy Zawacki's pager. Keeping the bathroom door closed would prevent Robert's dog from triggering the device. There are many pieces to this system. Getting the pieces and getting the pieces working together has been a challenge. A 40-page manual (which can be copied as a PDF file from the Linear website) describes how telephone numbers for the console can be programmed into your computer, which sends the programmed information via the Internet into your console through the telephone line. Once the console has the numbers they can be auto-dialed when the console is activated by the wrist transmitter, smoke detector or motion detector. I have not gotten that far. A unit for programming numbers has lines with jacks of two different sizes -- and it seems that a voice-box attachment is needed to accommodate the smaller-size jack. I phoned Linear tech support and found the support person to be struggling to figure-out the system himself -- although he was very friendly and seemed quite motivated. He figured-out a method of splicing wires and connecting them to the leads of the console back-up battery, which he told me would eliminate the need to buy the voice-box. A back-up battery can assure that the unit still works during a power failure, but the proper battery was harder to locate that I had been told. A Radio Shack store manager could not find it in his catalog, nor could I find one at Circuit City or another electronics store. I had to order it from Linear. I attempted the splicing and battery connections recommended by the tech-rep, but it did not work. We do not need a voice-box because we are opting for autodialing rather than the service of central station operators. However, the voice-box is the only way I can accommodate the smaller line jacks connected to the phone-programmer. When I ordered the voice-box from Linear it was out-of-stock. I ordered it, and it was shipped, but I became too frustrated with the company and their product to continue working on it. What worked was the wrist transmitter which causes the console to make a high-pitched sound when it is pressed. Curtis Henderson came to live with Robert Ettinger. Curtis could wear the wrist transmitter and press the alarm should Curtis experience a cardiac emergency when he was watching TV while Robert is downstairs working on his computer. What you are paying for with a monthly fee is a human operator to assist in an emergency, something that you cannot be sure of with any of the auto-dialer systems. This service is even more valuable for a GPS-based system, since no existing autodialer is likely able to leave location information. That is why I think that the Magnavox MobilePal+GPS at $19.95 per month (after $130 up-front) is the best of the products I reviewed. After returning the Pioneer unit to the company, I ordered the Radio Shack Wireless Emergency Pendant (Catalog # 49-2559), which is a pendant-based system connected wirelessly to an autodialer console that will call up to four phone numbers and play a pre-recorded 15-second message three times if someone answers. If there is no answer -- or if there is an answering machine -- the autodialer goes on to the next phone number. If someone answers he/she can press any button on his/her phone and hear any sounds that can reach the microphone on the console (but cannot converse). This pendant panic-button seems less vulnerable to false alarms by accidental pressing than the Pioneer button. The console emits a loud squealing sound while phoning the numbers and playing the message after the pendant button is pressed. (A stop button is below the "panic button" on the pendant.) It is possible to buy a powerhorn auxiliary that emits an even louder sound, but the console was ear-piercingly loud enough for our purposes. We did buy an auxiliary device that interfaces between a lamp plug and a wall socket to cause the lamp to blink on and off after the console is activated by the pendant panic-button. Another auxiliary device is available that can replace a wall switch to produce the same effect for wall-switch-controlled lighting. These would be helpful in alerting neighbors or others in distant parts of the house that the pendant-wearer is in trouble. My cell phone should never be called insofar as the Cryonics Institute Funeral Director has a 24/7 answering service and a human will always answer the phone. In the recorded message made by Robert Ettinger he identifies himself and states that he is in trouble and needs emergency assistance. No one at the above numbers should need further information, such as his address. The list price for this product is $62.99, but with taxes and warrenty we paid $77.76. The warrenty is indespensible. The first unit I obtained from the Radio Shack store simply did not work -- it was burned-out. Someone had returned the item and Radio Shack had put it back on the shelf for resale. When I returned the unit I was sent to a nearby Radio Shack store for a replacement. The first unit I was to be given at the second store had also been used and returned. The second unit was apparently new, however. I tested it at the CI facility and it worked fine. But when I attempted to test it at Robert Ettinger's home, the unit would not record a message when the record button was pushed. When I returned this unit to the first Radio Shack store and demonstrated the problem to the manager, she told me she would get a replacement unit from a third Radio Shack store, which I could get the following day. But when I came for pick-up the manager informed me that the unit in the third store had also been used and returned. So she ordered me a new unit for delivery directly from the warehouse to the CI facility. The new unit apparently works as advertised, but my experience with this product has not inspired a sense of security in what is intended to be used as a life-saving device. Fortunately, we are also using the Magnavox MobilPal+GPS system. Redundancy is probably a good idea anyway, in case of problems with one of the units or power failure or battery failure (the pendant battery is supposed to last 5 years). A wide variety of automotive dashboard emergency road services are available from On Star -- including emergency medical services. The technology continues to improve, but the technology as it exists is still useful enough to save the life or greatly improve response time for an elderly person living alone. I have been hearing the " wait for technology improvements" line for years and think it is a deadly trap -- a rationalization for doing nothing and in many cases the excuse of dreamers who will never do anything. For an elderly cryonicist living alone I would recommend immediately getting a personal alarm system. When the technology changes, a better system can be obtained. The handling of false alarms is a major advantage of the operator-based systems over the autodialer based systems. As I mentioned, with the pendant device Robert Ettinger has set-off a number of false alarms by inadvertently pressing objects against his chest. The operator always attempts to confirm that there is no false alarm before contacting the emergency numbers. And Robert can initiate false-alarm notification from his console. But I'm not sure how effectivey it could disable false alarms -- the bulky Magnavox MobilePal+GPS reputedly allows for immediate conversational contact with the operator to clarify the situation. But when last tested we got an answering machine followed by music before getting an operator -- a delay of nearly a full minute. It could be of use for cryonicist couples as well, especially if one of them is medically at risk. I am not inclined to investigate right now, but it could be just what I was looking for in terms of a product without a monthly fee for operator support. Again, there is value to be gained from false-alarm handling and immediate guaranteed contact with a living operator -- a value that might easily be worth the monthly fee. I don't see operator-support explicitly mentioned, but the products are such that it would be required, I think. Pendants/wrist-transmitters are not shown, however. Arguably, in this age of cell telephones and personal GPS systems the added benefit of "panic button" systems is marginal. Many cell phones have pre-programmed numbers which can be dialed at the press of a button. Vital signs monitoring connected to GPS and autodialing would make a significant difference, however. What happens when an alarm is activated? What should be done? First, of course, it is valuable to try to determine if it is a genuine emergency. If, for example, Robert Ettinger's alarm was activated, and I was contacted, I would attempt to phone him if I hadn't been called already automatically. If I was unable to reach Mr. Ettinger by any means then I think that the best thing to do would be to (1) call 911 and (2) quickly try to drive to Robert Ettinger's house and/or get someone near Robert Ettinger's house to drive there. An ambulance is probably the fastest way to get someone to a hospital. If Mr. Ettinger's heart is still functional, then a quick trip to the hospital may keep him alive. If Mr. Ettinger has deanimated then a quick trip to the hospital is the fastest way of getting him pronounced legally dead by a physician. By driving to Mr. Ettinger's house there is a chance of being there when the ambulance is there -- and of following the ambulance to the hospital. This would allow me to know which hospital Mr. Ettinger is at and may allow me to initiate or get help initiating administration of heparin, CPR and possibly even administration of ice -- while I contact others for assistance. In the United States municipalities often pay much of the expense of an ambulance, but a user fee of several hundred dollars is required from those receiving the services (more for Advanced Life Support than for Basic Life Support). Some of the costs may be covered by health insurance if the call is proven to have been a genuine emergency. The costs are typically only incurred when the patient is transported -- application of a defibrillator in the home would not incur a charge in most cases, I believe. In December 2005 none of the companies that claimed in 2004 to have wireless vital sign monitoring alarm systems on the market have fulfilled that promise. But the promises do look better now than they did in 2004 -- although Digital Angel (http://www.digitalangelcorp.com/) appears to have abandoned ambitions along these lines in favor of tracking animals. EKGuard (http://www.ekguard.com/) has a 3-electrode system that attaches to the body. EKGuard is not a wireless cardiac monitor, however. It is a hand-held EKG device. To contact their Call Center you need access to a telephone. The system is already widely used in Israel, but is currently only available in 3 states: New York, New Jersey and Connecticut. It should be available throughout the United States some time in 2006. The device costs $499 and the monthly fee for Call Center support is $69. Call Center support for push-button alarm systems is currently one-quarter to one-half this price, partly because the EKGuard Call Center has a staff Cardiologist who is available to analyze data coming from the devices. This is of great advantage because it can warn of heart problems prior to cardiac arrest and allow for rapid intervention to prevent cardiac arrest. With greater volume of sales the Call Center support for EKGuard and comparable systems should be expected to drop. And the cost of the devices themselves should drop, much as has been the case with cell phones. But this will take a few years. BodyMedia (http://www.bodymedia.com/products/biotransceiver.jsp) has a monitoring system that is worn on the arm like an arm-band. Currently the product is sold for athletes wanting to monitor their physiological performance, but the company is planning an emergency wireless alarm system for late 2006. The Canadian company Medical Intelligence (http://www.medicalintelligence.ca/en/index.html) which was expecting a cardiac monitoring alarm system on the market in 2005 is now saying the system will be available in Canada and the US at the end of 2006. The VPS/W−ECG (Vital Positioning System/Wearable−ECG) device is worn around the waist like a belt, and it monitors the heart through electrodes that contact the skin. It will have GPS so the victim can be located if the heart stops. If the victim is able to speak, he or she can talk to the Call Center. The device is expected to cost about $750 and the monthly Call Center support is expected to cost $40−$45, but these figures are guesses. Pulse oximetry is the measurement of SpO2, Spot Oxygen saturation of the blood. Arterial blood is normally saturated to 95−100% of its maximum oxygen carrying capacity at sea level. A pulse oximeter detects pulse blood, ie, arterial blood, and measures the oxygen saturation by shining a bright red light through a finger-tip or ear-lobe, determining how much light is absorbed. Bright red oxygenated blood allows most of the red light to pass through the finger-tip or ear-lobe. A pulse oximeter can give warning when SpO2 becomes critically low, as happens in cardiac conditions that develop more gradually than sudden cardiac arrest (including conditions of low oxygen, such as a gas leak or a high-altitude flight). Ideally, a pulse oximeter would be small enough to be worn as an ear-ring and have the capacity to wirelessly alert a Call Center if there is a problem. Unfortunately, the FDA requires that pulse oximeters can only obtained by prescription. The biggest name manufacturer for pulse oximetry is Nonin (short for NON-INvasive, http://www.nonin.com/). Nonin has a series of pulse oximeters, including the Wrist Ox 3100 which can be connected by a short cord to a device capping a fingertip. Detailed information about Nonin products can be found on the Nonin website. Nonin does not sell directly to the public, but their products can be purchased online from AeromedixRX (http://www.aeromedixrx.com/). The WristOx starter kit costs $1,225. Prescriptions are required to purchase, but their staff physician will give you a prescription upon request during your on-line check-out. Some of their pulse oximeters have alarms, but none have a wireless connection to an emergency Call Center. MedicTouch mPOD (http://www.medictouch.net/wearable.html) is a pulse-oximetry cell-telephone-like device. It is anticipated that it will soon be available for wireless connection to emergency Call Centers. MDKeeper (http://www.tadlifecare.com/index.php?id=197 is worn like a watch and has biosensors to monitor ECG (one lead), SpO2 and heart rate. The device can generate alarms in response to vital signs or in response to a push button -- and it supports voice communication with a Call Center. Release to market is expected in the first half of 2006. LifeShirt (http://www.vivometrics.com/site/system.html -- described in my 2004 report) is also expected to become available in 2006, although this system is much more sophisticated than would be required for detecting the presence or absence of a few vital signs, and it is only available to researchers, not the general public. This is also true for a number of systems being developed at universities, including CodeBlue (Harvard, http://www.eecs.harvard.edu/~mdw/proj/codeblue/), Lifeguard (Stanford, http://lifeguard.stanford.edu/) and MMST (University of California, San Diego, http://mmst.ucsd.edu/). The bottom line of the December 2005 report was that although little was available at that time, many companies were on the verge of offering service and there would be many products available by the end of 2006. As of this writing at the end of 2006 it has mostly been another year of disappointment. The problem appears to be due to regulators rather than due to technology or the market, but I may be misreading the market. The market is still dominated by "panic button" systems that require active, conscious participation (of no value for someone experiencing sudden cardiac arrest or dying in their sleep). but that was not mentioned in the letter to Mr. Ettinger reporting termination of the original service. The LifeShirt system (http://www.vivometrics.com/site/system.html) which I described in my 2004 and 2005 reports was purportedly going to be available to consumers in 2006, but the company is still only advertising its availability for use by pharmaceutical companies. Smart Shirt (http://www.sensatex.com/) is available for health monitoring, but only in a clinical setting. The Body Media system (http://www.bodymedia.com/products/bodymedia.jsp) is also only intended for use by clinicians. Medical Intelligence (http://en.medicalintelligence.ca/iiix/home/) which I also described in my 2004 and 2005 reports and which was purportedly going to be available to consumers in 2006 as a cardiac monitoring system with GPS and wireless alarm to call centers, is now mainly being offered as a portable telephone system with GPS for elderly people with cognitive problems -- and is only available in France. EKGuard (http://www.ekguard.com/), which was beginning service in three states last year, no longer has a functioning website. The MedicTouch mPOD (http://www.medictouch.net/wearable.html) website says the product will be available "soon". The MDKeeper website (http://www.tadlifecare.com/index.php?id=197) states that the product "is currently undergoing clinical certification for FDA and CE approval". Lifeguard (http://lifeguard.stanford.edu/) is not an FDA approved product and is designed for development by NASA and others for use in "extreme environments". At this date there are only two products on the market which might suit the needs of cryonicists for providing a wireless emergency alert of deanimation. The first of these is Vivago (http://www.istsec.fi/index.php?lang=eng), which is only available in Europe -- apparently including distributors in the United Kingdom (http://www.vivatec.co.uk/) and the Netherlands (http://www.isolectra.nl/), among others. I want to investigate Exmocare further when it becomes available. And I am still hopeful that this is a technology whose time will soon come and cannot be suppressed indefinitely, even by government regulators. I will try to keep myself informed and update this webpage with the latest developments. Unfortunately there is more disappointing news to report. The site database appears to be down. We apologize for the inconvienence. Please try again at a later time. For now, you may return to The Exmocare Homepage. If this error persists, please contact an Exmocare representative here. The link to contact an Exmocare representative is also broken. "This number is not in use." "We no longer sell Exmocare for consumer applications, as we are currently starting production for the next generation wristwatch, which will be much less expensive to purchase and maintain. "We do however sell corporate Evaluation Kits to companies interested in licensing or distributing our technology. Each Evaluation Kit includes 2 wristwatches, Clinical Edition software for research and Enterprise Reporter Edition software and unlimited server use for remote subject monitoring. These kits cost $5000, and there are no monthly service fees." This is yet another frustration and defeat in my multi-year project to get some kind of vital sign monitoring alarm systems of value to cryonicists. For years I have been hearing that we are on the verge of availability. The failures for this to manifest seem almost diabolical. For well over a decade it has seemed that a commercial vital signs monitoring system would soon be on the market which cryonicists could use to signal cardiac arrest. Too often cryonicists have been found in their residence many hours if not days after cardiac arrest. One would imagine that the technology for monitoring vital signs and signaling their absence would be simple to implement. It is easy to imagine that the Federal Drug Administration (FDA) is the major obstacle. Judging from the scientific literature, the greatest source of interest in vital signs monitoring equipment in the medical community is based on the idea of using such devices for triage in disasters involving many casualties. This may be associated with anticipation of terrorist attacks. The Advanced Health and Disaster Aid Network (AID-N) uses low power sensors that can wirelessly monitor the vital signs and locations of a large number of patients, as reported in the proceedings of the American Medical Informatics Symposium [AMAI Annu Symp Proc; Massey,T; 544-548 and Gao,T; 284-288 (2006)]. The SMART system also integrates wireless vital signs monitoring (ECG,SpO2) and GPS for disaster triage [JOURNAL OF THE AMERICAN MEDICAL INFORMATICS ASSOCIATION; Curtis,DW; 15:44-63 (2008)]. The word "Smart" is popular in vital signs monitoring. Aside from the SMART system, it is also applied to the Smart Shirt designed by Georgia Tech for use in the next generation of combat uniforms for soldiers. And "Smart" is used for the Smart Vest, which is designed to monitor the health status of active persons vulnerable to danger, such as firefighters, miners, deep sea divers and soldiers. Along with GPS it can provide information on ECG, body temperature, blood pressure, heart rate and galvanic skin response -- with sensors that do not require gels or electrodes [MEDICAL ENGINEERING &AMP; PHYSICS; Pandian,PS; 12 Sept 2007)]. MEMSWear is a "smart shirt" that monitors blood pressure, temperature, ECG and SpO2 in addition to using accelerometers and gyroscopes to detect patient falls [JOURNAL OF PHYSICS; Po,SNC; Conference Series 34:1068-1072 (2006)]. Although my interest has been most urgently motivated by my concern about elderly cryonicists living alone, I also think that vital signs monitoring could be of value for detecting cardiac arrest during cryonics patient standby. This raises the question as to whether such wireless devices could be deployed in a hospital. Cell phone use is banned in airplanes and hospitals, but the enforcement in hospitals is very poor. The greatest interference with medical equipment comes from devices like the two-way radios used by emergency personnel. Cell phones, WiFi and Bluetooth do not interfere with medical equipment as long as they are at least two meters away [TELEMEDICINE AND E-HEALTH; Boyle,J; 12(3):373-382 (2006)]. We at the Cryonics Institute recently tested the Radio Shack autodialer alarm that Robert Ettinger is using, and it still works. It is a panic-button system worn as a necklace that phones a list of numbers when the button is pushed. CI Member Gunter Boden mailed (by slow boat) a hand-made pulse detector alarm with circuit diagrams. It could be a workable alarm for someone having people within hearing range, but my main interest has been in phone dialers for people living alone. With the assistance of Member Nick Pavlica, who has both a personal and commercial interest in vital signs monitoring alarm systems, I have done some serious investigation of some of the most promising systems I have found. Medical Intelligence and Exmocare are among the vital signs monitoring systems that are still expected to be soon available on the general consumer market (rather than restricted to accredited research organizations). But there have been too many years of such expectations with little tangible result. The Army wants to know whether its soldiers in the field are dead or alive in order to determine the value of risking rescue efforts. Not being a medical device it can avoid FDA regulation (which has been a huge cost/regulation barrier to such devices becoming available to consumers). I did a considerable amount of negotiation with AWare, but it ended in frustration. The units were to be deployed for $999 initial payment per unit with monthly charges of $14.99, with a contract for guaranteed service use for five years. They wanted the Cryonics Institute to pay for it all rather than the individual CI Members, although they eventually suggested this could be negotiated further. The device could be worn on the wrist, belt or as a pendant. It was a pedometer-type motion detector rather than a vital signs monitor. It gathered data and sent the data through a phone line once per day, but could be altered to trigger a phone call to a pager or cell phone if there was more than fifteen minutes of inactivity. Samples were sent to the Cryonics Institute so that they could be put on display for the CI Open House, but the samples were incapable of actually dialing a phone number, so they were not very impressive. MyPulse Monitor (www.mypulsemonitor.com/) is the closest I have come to getting a working vital signs alarm system. It has a 1,000-foot detection range (at most) and requires the use of a PC (Personal Computer) that can be connected to a phone line (modem,DSL,etc). The MyPulse system monitors heartbeats by a chest strap worn over the heart. A repeater relays the signal from the chest strap to a receiver connected to the computer by a USB port. Within 1,000 feet of the computer it can produce graphs of the heartbeat and trigger phone calls to one or more phone numbers if the heartbeat stops. The chest strap does not feel comfortable at first, but I have gotten used to wearing it on a continual basis. It is waterproof so it need not be removed during a shower, although this may not make for good cleaning. The repeater must be kept within three feet of the chest strap. Taking the repeater into the shower is strongly discouraged, so the chest strap should probably be removed during baths and showers. The system is not plug-and-play, and could prove challenging for the typical elderly person who has not worked with computers. The user's manual must be studied thoroughly and there are many details about installation and use that are not obvious from the manual. The system had many bugs, which have been corrected through an ongoing dialog with the company and numerous versions of software updates that I have been sent. I have been able to make the telephone connection on the Cryonics Institute's desktop computer, but was unable to do so for Robert Ettinger's computer. I tried many combinations of COM ports and baud rates without success -- there seems to be a mismatch with Mr. Ettinger's DSL device. I purchased a TRENDnet TFM 560U hand-size modem as well as a CP TECHNOLOGIES USB port splitter to create a modem connection that would run in parallel with the DSL on Robert Ettinger's computer. This gave me a functional COM port for his PC which worked with the MyPulse system. and wearing the chest strap tightly I believe I eliminated this problem for myself. But when Robert Ettinger tried sleeping with the chest strap (using the gel) there were too many false alarms. The alarm provides for autodialing of many phone numbers and sending of an e-mail message when no heartrate is detected. I have not been able to get the e-mail alarm message sent, but I suspect this may be due to the weirdness of SBCGlobal username. The computer dials both my cell phone and the CI auxiliary phone during my testing. The phones ring, but no message is left. The recipient of the calls would need to note the caller ID phone number and realize the source and reason for the call. Less complicated systems are expected to be on the market in 2008, but I won't believe it until I see it. With micronization of electronics I should think that vital signs monitoring devices that are able to initiate phone calls directly through (or to) a cell phone device should eliminate the need of an intervening computer and the need for a computer-modem or DSL connection. Power consumption must be low for an effective device. The market for medical alert systems is still overwhelmingly dominated by "panic button" systems, as can be seen by the Google Directory and DMOZ Directcory entries on the subject. One advance on this approach, however, is the 911 Guardian Phone, which can be worn like a pendant. It can dial 911 through a wireless connection to a home phone (land line) within 600 feet of the pendant. Pressing the button allows for a direct speakerphone connection to 911 emergency services. Even if the user is unable to speak, the 911 emergency personel can see the caller ID and respond. No number other than 911 can be programmed into the device. There is no service (or service fee), only a one-time $199.95 payment for the device. A similar product called Guardian Alert 911 sells for $206.05. There are many promising wireless vital signs monitoring technologies on the horizon, although this has seemed to be the case for so long it is difficult to feel too hopeful. The United States Office of Naval Research is supporting a wireless vital signs (WVS) system which uses inflatable blood pressure, pulse oximeter and a two-lead ECG that transmits information through Bluetooth to a standard PDA. Because the WVS system uses FDA-approved devices it is claimed that it will "soon become a reality" and is not simply a "futuristic promising technology". The latter phrase seems more applicable to the TeleHealth System. MDKeeper incorporates monitoring pulse rate, blood saturation level and a 1-lead ECG into a wristwatch-like device (undergoing clinical certification for FDA approval). A digital plaster from Tomaz Technology offers the potential for a minimally invasive, low-power, disposable wireless vital signs monitor with a battery life of five days. Even less contact is required by the Kai Sensors company, which uses a microwave Doppler radar to remotely monitor heartbeat and respiration. This technology has been described in the academic journal [EURASIP JOURNAL ON ADVANCES IN SIGNAL PROCESSING; Jianqu,W; 31415 (2007)]. A CSIRO vital signs monitoring system which may be using this technology incorporates an alarm and panic button into the monitoring (unlike many of the other wireless monitoring systems). It is apparently still under development. Exmocare is providing a wireless vital signs wristwatch that uses non-invasive photoplethysmography, but it sends alerts to a website rather than initiates phone calls. So again, there appears to be much development and promise, but nothing on the market providing a vital signs monitoring and alarm system that is of much use to cryonicists. The Vivago Wellness Watch and the Vivago Personal Wellness Manager are commercial systems available for European consumers. The Vivago Wellness Watch is available to people living in Britain and is based on an extremely sensitive motion detector which can be worn like a wrist watch. The device can initiate alarm phone calls through a home base unit in response to a long period of inactivity. Unfortunately, the Finish Vigago parent company nixed the idea of having the product distributed in the United States. The Findmespot GPS tracking system is independent of cell phone networks because it uses satellite communication. It can send manually-initiated distress signals to 911 or to others via email. It is a rugged system intended for use by hikers and the AA batteries it uses can last up to two weeks. However, it is not a vital signs monitor and it has no voice capability. It is essentially an advanced "panic button" system incapable of initiating actions. The GPS location is reported every ten minutes, and a person can move a great distance in ten minutes. In the November/December issue of LONG LIFE magazine, I reported on success in getting a bed vital signs monitor phone system working with Robert Ettinger. The FCC and FDA are now "negotiating" to see which one will be regulating. I have long suspected that one or both of those organizations have been a major stumbling block to the deployment of technologies which have been available for many years. Of course, panic button systems, are still widely available and widely used, such as LifeFone and LifeAlert, the latter of which contains the endorsement of former United States Surgeon General C. Everett Koop. Many of the systems that I have reviewed before have transformed their aims or moved to another continent. Medical Intelligence, for example, is now offering panic-button systems with GPS capabilities, available in France, Spain and the UK. SKeeper (formerly MDKeeper) is offering a similar system in Israel. MyPulse is still selling and promoting its uncomfortable chest strap device that needs to be close to a computer. But the required computers are more mobile now, and can be carried along with the user and the monitoring equipment. iRhythm and Corventis (also Corventis) are developing a less intrusive vital signs monitoring system that is built into a band-aid type device. ExmoCare is now under the umbrella name ExmoVere, which still promises a non-invasive photoplethysmography wrist-watch type device to detect heart rate without a chest strap. This could be a useful piece, but only a part of what we want — and it is still under development. Similarly, Kai Medical is still working on its non-invasive Doppler vital signs measuring devices. In October 2010 it won FDA approval for a respiration measuring device. CSIRO is an Australian company developing an undisclosed non-contact type vital signs monitoring system. Findmespot has an excellent global GPS tracking system, but is not connected to a vital signs monitor or alarm — another possible piece of a puzzle, but we want all of the pieces together. Sensatex and other "Smart Shirt" systems using "e-textiles" are still under development. PROETEX STELLA, BIOTEX, ConText, and OFSETH are all European companies working on textile-based body monitoring systems. Toumaz, Sotera, and Texas Instruments are developing products which could be incorporated into vital signs monitoring devices. as is the development of an alarm system (RespiSense) intended to prevent "crib death" (SIDS). I had been quite hopeful that the Vivago watch, made in Finland and available elsewhere in Europe, was offering Europeans a vital signs monitoring device along the lines of what cryonicists would want. A Finnish cryonicist has tested Vivago, and he reports that it does not alarm on stoppage of the heart, and when it does alarm the person wearing the watch is not informed. Moreover, the user must be close to a base station. Cryonicist Nick Pavlica seemed to be making some progress with his bed alarm, but after extensive testing by me, I still must say that it gives false alarms or does not alarm when it should. At the moment, the best I can say for the product is that it appears to provide a good panic-button system for dialing to a pre-programmed list of phone numbers. As far as I can tell, cryonicists are still in a "coming soon" period of anticipation. I welcome comments from others who know of things I have missed or who have different perspectives on the matter. In 2011 there has been progress on Vital Signs Alarm Systems that can be used for cryonics purposes. In reviewing these developments I will begin by referencing the products described in my previous reports. Concerning evident failures, the domains for Medical Intelligence and Kai Medical have completely disappeared. The domain for ConText is still operation, but the domain (rather than the product) is being advertised for sale. All the other "smart shirt" systems using "e-textiles" are apparently still under development, except that the text at the bottom of the page for STELLA says the project is to end in January 31, 2010. Many of the other organizations and products are still in development mode, apparently, including the Wireless Health Institute, CSIRO, and Toumaz (still looking for clients?). Exmovere has developed and is developing a range of products, but has not yet released anything like what cryonicists are looking for. iRhythm now has a functional heart monitor, but it records heart rhythm on a event card, and is not wireless. Also, it requires a prescription. In January 2010, Corventis announced FDA approval for its prescription-only NUVANT wireless monitor for cardiac arrhythmia. The NUVANT product is available in the USA and has a call center. In September, a similar product, AVIVO was announced for Europe, but no call center for AVIVO is mentioned. The Athena GTX system still requires prescription for use but — unlike iRhythm and the Corventis products — is bulky and cumbersome. Sotera has wireless vital signs products intended to allow patients to be monitored throughout a hospital. It is not clear whether these products are available for other uses. There are pricey mobile vital signs monitors available for medical personnel from Centaurus Medical and Cardiac Direct. Vital Signs Monitors designed for use in hospitals being sold by Mohawk Medical Supplies are becoming increasingly compact and in some cases mobile and wireless. CardioMEMS is cardiac monitor that is surgically implanted and allows physicians to daily evaluate heart activity in patients. A study of the device in the medical journal LANCET found that CardioMEMS reduced hospital admissions by 30% over a six month period [LANCET; Abraham,WT; 377:658-666 (2011)]. The device does not apparently sound an alarm, however. The fact that it costs $15,000, would require expensive surgery, and is still pending FDA approval does not make it suitable for most cryonicists. When and if it is FDA approved, it will probably require a prescription. But for wealthy cryonicists who have a cryonics-friendly physician, the device could be useful. Ideally, a vital signs alarm for cryonicists would not only signal death, but impending death — which would both give advance warning and possibly even allow for intervention to prevent death. A huge advantage of the CardioMEMS cardiac monitor is that it does not require recharging, which is a problem with any small device that is expected to communicate wirelessly. As with all vital signs alarms for cryonics purposes, a 24/7 cryonics-friendly call-center would be of more value than a once-daily check. SimpleEye has a Bluetooth pulse oximeter which gives auditory reports of data, although no alarm dial-out capability is mentioned. Cryonicist Nick Pavlica is still working to get his Rescue-Tel bed alarm system bug-free and marketable. A similar product, the Bam Labs Sleep Sensor, uses a mattress that can communicate with smart phones. The Lifecomm Wrist-watch style device will not be available until 2012, but it looks to be an advance over current "panic button" systems. It includes a One-Touch Emergency Button that can be used to summon help with the touch of a button, and a Two-Way Voice Communication which allows for communicating with personnel at an emergency call center. Nonetheless, it does not seem to provide independence from a base station, which makes it mainly of use for people who are home-bound. 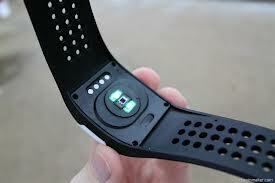 The Jawbone UP health wristband received a lot of marketing hype before it was released in November 2011. Given the fact that Jawbone has made its name by making Bluetooth headsets it would be easy to wrongly assume that the Jawbone UP health wristband uses Bluetooth. But it only records data that must be transferred to a computer. Power consumption would be too great, and batteries are too weak to expect a small Bluetooth wristband that can be worn 24/7 without frequent re-charging. The only real-time interaction with the device is that fact that it can be programmed to vibrate on the wrist at specified times. Presumably if a programmer is lost in concentration at a computer and the wristband vibrates as a reminder to take a walk, this will make the programmer more healthy. The wristband can also be used as an alarm clock, but these applications are not of use for cryonics purposes. Currently the Jawbone UP band is available on Amazon.com for nearly $200 and is being sold at Best Buy for about $100. The Jawbone UP wristband — which communicates with a iPhone or other Apple device — will monitor activity and physiological states such as phases of sleep, and will allow the user to share this information with others through a device which operates on the Apple iOS operating system as long as it is version 4.1 or greater. Non-Apple cell phones or devices cannot be used. The customer reviews on Amazon are largely complaints about lack of reliable function, lack of documentation, and lack of support for the product. A cryonicist who operates under the name "dennis_cryo" has taken a great deal of initiative recently to address the vital signs monitoring problem. In September 2011 he started a Yahoo Group called CryonicsVitalSignsAlerts to share information about vital signs alarm systems for cryonicists. dennis_cryo noticed that most portable devices in the market today have accelerometers. Unlike the Apple iOS the Android operating system is not so restrictive, such that someone can easily write and distribute software for Android devices. dennis_cryo concluded concluded that accelerometers can be used to monitor vital signs, and he prefers to use Android devices because of the ease of writing and distributing applications. The threshold can be set to adjust the sensitivity of the accelerometer so that it can monitor the person's movements, including those produced by heartbeats and breathing. He has written an application that can dial-out after a certain countdown (number of minutes) of no activity, but in its current for the application is not capable of counting heartbeats or inferring the pulse rate. The device might work in most situations, but someone could have a cardiac arrest while riding on a bumpy train or bus and no alarm would be activated. dennis_cryo can modify his application to call multiple persons and to send GPS information. Android devices are becoming smaller, and dennis_cryo has identified Metawatch as being a potentially programmable watch for cryonics purposes. 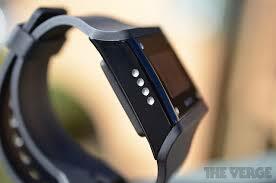 Metawatch has cell phone capability and is Bluetooth enabled, but does not use the Android operating system. On the other hand, i'm Watch explicitly states that it uses an Android operating system, although it seems to require a phone and may not have an accelerometer of its own. Again, small watch-like devices using Bluetooth are unfortunately likely to have problems with power consumption and battery-life. The current application dennis_cryo wrote for Android devices does not have a recorded message, but presumably if one of the recipients recognized the number of the caller and there was no message or other identifying information, the recipient could suspect problems with the caller and investigate. For cryonicists who are elderly and have known medical problems, such a call could easily be a warning of trouble. In this case, the recipients should be cryonicists or cryonics-concerned people who will be able to investigate the well-being of the sender without too much inconvenience. The inconvenience will be a function of the frequency of false alarms and the distance between sender and recipient, among other things. I have not updated this page in nearly two years. Ironically, part of the reason for this has been my skepticism about the possibility of a suitable product and another part is my overload with potential products. Other parts include being too busy to maintain my website — as well as a decrease in my sense of urgency about the situation. After having participated on the panel about Medical Monitoring Devices at the Alcor 2012 conference, I was concerned that the seriousness of the requirement for these devices was misrepresented, especially by me and Martine Rothblatt. Although my statement that less than half of the cryonicists who have arranged for standby have received that service was probably historically accurate up to the 1990s, Aaron Drake's comment that the proportion among the most recent (after 2007) 20+ patients receiving standby is closer to 85% is more encouraging. He implied that this statistic could be significantly improved. A CryoNet analysis of Alcor cases supports the higher standby rate for recent patients. On the other hand, I think Martine Rothblatt's calculation of a 1/34 (2.9%) chance of delayed cryopreservation due to sudden cardiac death underestimates the danger, despite the fact that my references may be somewhat dated. [CIRCULATION; Zheng,Z; 104(18):2158-2163 (2001)] reported that in the 1989-1998 period, 74% of cardiac deaths in the 35-44 age group were sudden cardiac deaths — and that for all age groups 60% of cardiac deaths were sudden. [JOURNAL OF THE AMERICAN COLLEGE OF CARDIOLOGY; Chugh,SS; 44(6):1268-1275 (2004)] reported that around 2002 5.6% of all deaths were sudden cardiac deaths. A person can die in their sleep from causes other than sudden cardiac death, although cardiac arrest would be the most common cause. I think cryonicists are more likely to be living alone than the general population, because cryonicists are more frequently unmarried. But perhaps the upsettingness of cases where cryonicists have died alone and suffered lengthy ischemia or decomposition has caused me to overestimate their frequency. One CI patient apparently died shortly after she went to bed. She was discovered the next morning, packed in ice and shipped to CI. Although her abdomen was green, we tried to perfuse her, but the flow was soon impeded by massive edema. CI Member Hugh Hart died in his apartment on a Friday evening and was not discovered until the following Monday. Alcor Member FM2030 lay dead in his apartment for a week before he was discovered. A CI Member in Scotland was discovered dead in bed by his landlady in the morning (he asked her to check-up on him daily). Another CI Member was discovered dead on the floor by his wife in another room of their house after having suffered an aortic aneurysm a couple of hours earlier. Nonetheless, the great majority of people die with considerable advance warning — in hospitals and hospices. At the end of my Alcor conference presentation I expressed the hope that improved data gathering about physiological and performance variables (the "quantified self") could eliminate all unexpected deaths. I gave Linda Avey's Curious, Inc as an example of the trend that could assist in this matter. At a conference in Japan I discussed this prospect with Edward Lakatta, who is Chief of the Laboratory of Cardiovascular Science and Cardiovascular Function Section of the NIA. He was skeptical that monitoring of blood values or anything less than clinical stress testing could be so predictive. He told me that we would both be long dead before portable monitoring devices would be predictive of sudden cardiac death. Cryonicists frequently propose that a vital signs alarm system for cryonist could be marketed to the general public, at a substantial profit. But who besides cryonicists want an alarm for death? If there were a huge demand by non-cryonicists, a device would have appeared on the market long ago. Panic button systems can save lives, but extremely often the heart has stopped too long for emergency services to arrive in time to restart it. And the false alarm problem would not be tolerated by an emergency medical system. Firefighters reputedly wear bulky systems such as the Athena GTX system, but this would not be tolerated by the general public. The military has shown interest in knowing whether soldiers in the field who are out-of-communication are severely injured or dead. Risky rescue efforts might be attempted for the seriously injured, but not for the dead. But this application would not be available for the general public. But if Aware Tech is still working on this application, it is not currently being publicized — unlike their fitness products. I have seen such systems discussed for triage situations, but it seems improbable to me that triage victims could be foreseen and appropriately equipped ahead of time. There may be people who would not like the idea of decomposition by a dead relative living alone, but awareness and demand for such a product is currently low. Nick Pavlica invested considerable money and effort developing a bed alarm system — and I invested a considerable amount of time testing it for him. But the system was either too insensitive or gave too many false alarms due to tremors from passing trucks or other disturbances. And preparing the system was much too complicated for a system intended for the general public. Nonetheless, Nick's Rescue-Tel system is advertising an alarm system that detects breathing and heartbeat during sleep. An autodialer that calls 4 phone numbers in a cycle, leaving a recorded message at each phoned number is viewed as a way of saving money on monthly fees for a call center. But if there are numerous false alarms, the system loses credibility and becomes a nuisance to those who have agreed to be called. False alarms can be greatly reduced if the vital signs alerting device alarms first with the cryonicist wearing the device. The cryonicist should be given at least a minute of warning alarms by the device before the device begins calling outsiders. If the cryonicist chooses to remove the device, he or she should turn it off before doing so. Human nature being what it is, there is no guarantee that the large number of members of a cryonics organization will follow these procedures diligently, especially if they are sick or elderly. Bed alarms would be harder to monitor if the warning alarm is not loud enough to quickly rouse the sleeping cryonicist. I had the experience of doing daily cryonics checkup phoning for an elderly woman who lived five miles from the Cryonics Institute, where I was living. It was a terrible responsibility, and terribly frustrating. Many times she did not answer the phone, and I could do nothing but call again. Even if I had felt compelled to drive the five miles, she did not give me access to her apartment building. There were no night staff in the apartment building, and the woman had no trusted neighbors that I could have called. She did have a caretaker who lived about five miles in the other direction. I think I called the caretaker a couple of times when the woman had not answered after I had called several times. The caretaker made a trip and found the woman, but eventually the caretaker's boyfriend insisted that the caretaker not make more such trips. A moral of this story is that even if a vital signs monitoring device could alert a call center, the call center would need to verify that the device had not malfunctioned or been removed. There would be too many false alarms for a cryonics rescue team to be dispatched every time a vital signs monitoring device indicated an an absence of vital signs. This would especially be the case for elderly people or sick who were not facile with technical equipment — the very people with the greatest need. It would be best if a local alarm first allowed the wearer to disable a false alarm, second alerted a local person who could verify the genuineness of the alarm, and third alert the cryonics organization (although the presence of the second person would reduce the need for the alarm). There would have to be a person near the cryonicist who could conveniently check-up on the cryonicst when the alert was activated. In the daytime, on weekdays there is usually a person available to answer the phone at the Cryonics Institute, but otherwise a caller will reach an answering machine that gives instructions to call a pager or cell phone. Alcor only has an answering machine that gives staff numbers and a message to call an emergency line in case of an emergency. Dialing "2" sends a message to a 24/7 call center which will phone Alcor staff members until one is reached. An automated dialer could dial "2" and leave a recorded message with the Alcor call center. It would then be the problem of the staff member contacted to determine if the call was a false alarm or not. Even if passive vital signs alarm systems are not currently available for cryonicists, there are active participant "panic button" systems on the market that could be lifesaving for many cryonicists living alone. I have known of several cases of elderly cryonicists who fell to the floor and slowly died — unable to get up, but with the capacity to use a "panic button" device. A review of several prominent devices is available, although I think more weighting should be given to products having a very large number of clients, notably LIFE ALERT. It does appear that many relevant products are now finally coming onto the market. I have purchased and often wear an Mio Alpha wrist-watch which displays my heartrate. Exmovere's Empath Sensor Phone is a convenient wristwatch-type vital signs monitor. MyPulse Monitor will reportedly send alarm messages by phone or internet for abnormal heart behavior — although a chest-strap must be worn. The OM Signal shirt, which can be worn at all times is reportedly soon to be released. With the multiplicity of new monitoring devices — led by their use by fitness buffs — personal health monitoring is becoming increasingly prevalent. Heart health was the earliest focus of vital signs monitoring [HEALTHCARE INFORMATICS RESEARCH; Marscholleck,M; 18(2):97-104 (2012)]. Widespread use of vital signs monitoring will reputedly lower healthcare costs [SENSORS; Yilmaz,T; 10:10837-10862 (2010)]. The rapid worldwide increase in elderly patients who require continuous vital signs monitoring has been a major driver of wearable wireless electrocardiogram monitoring systems [BIOLOGICAL ENGINEERING &AMP; COMPUTING; Baig,MM; 51(5):485-495 (2013)]. Wearable sensors in garments can facilitate rehabilitation as well as continuously monitor emergency responders [JOURNAL OF NEUROENGINEERING AND REHABILITION; Patel,S; 9:21 (2012)]. "Smart fabric" vital signs monitoring closing is sought to ensure the safety of emergency personnel [CONFERENCE OF THE IEEE IN ENGINEERING AND BIOLOGY SOCIETY; Lymberis,A; 2008:5270-5273 (2008)]. A wearable textile battery that can be recharged by solar energy has been developed to eliminate the necessity for recharging [NANO LETTERS; Lee,Y; 13(11):5753-5761 (2013)]. I have rapidly gone from being deeply cynical about the prospects of vital signs alarm systems for cryonicists, to thinking that most of the desired features are now available. And in light of the incredible progress made in 2013, my expectations for 2014 and the future are very high. It may become unnecessary for me to continue to update this report. I will begin with my conclusions and follow with a more detailed explanation of that conclusion. I believe that reasonably good coverage can be obtained by the combination of a MobileHelp Mobile Medical Alert System and the MIO Alpha wrist-watch heart rate monitor used with an application written by Canadian cryonicist Dennis Mathew. A wide array of heart monitoring devices are now on the market. Nonin's fingertip pulse oximeter gives blood oxygen saturation (SpO2) and pulse-rate from a fingertip. Continuous heart-rate monitoring by this method would interfere with manual tasks. The Tinke wellness monitor also gives pulse-rate and SpO2, but only when the thumb is applied. The Spree Sports headband gives heart-rate from a head-band, and the Iriveron combines earphones for listening to music with heart-rate monitoring. HeartMath measures heart-rate and heart-rate variability from an earlobe clamp. Chest-strap heart monitors are much too numerous to describe. The Runtastic GPS Sports Watch with Heart Rate Monitor combines a Global Positioning System (GPS) watch with a chest-strap heart-rate monitor. Other similar systems are available on the market. When I exercise on my stairmaster I often use a Polar H7 Bluetooth Smart Heart Rate Sensor chest-strap in combination with a Sweatbeat application ("app") on my iPad to give heart-rate and heart-rate variability (HRV, a measure of stress). (The Sweatbeat app is available on iTunes). I believe, and believe I have confirmed, that the heart-rate obtained from my chest strap is more reliable than the heart-rate from a wrist-watch style heart-rate measuring device. 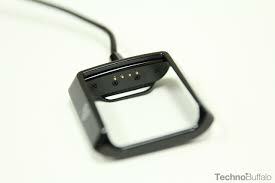 I have used my chest strap heart-rate to evaluate the accuracy of my wrist-watch heart-rates. Except for the Dream Sport DG-BT TOP, which only came on the market in 2014 (with availability possibly restricted to China) I have acquired and tested all of these devices. The MIO Alpha can function either in watch (time) mode or in heart-rate monitoring mode. Heart-rate monitoring mode consumes more power. 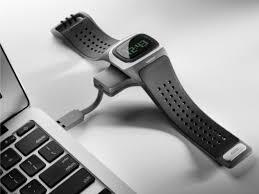 When the power is low, the device reverts to wrist-watch mode. Battery life in heart-rate monitoring mode is 30-35 hours. The device must sit on a charger for at least an hour before heart-rate monitoring mode can be used again. The MIO Alpha is waterproof, so can be worn while bathing or swimming, but the company warns that diving while wearing the unit could damage it. The heart-rate values displayed seem reasonably accurate under normal-activity conditions, but sometimes when I am exercising the displayed heart-rate can shoot-up to 194 beats per minute (bpm) or so, when my other devices are showing close to 100 bpm — a much more plausible value. I am not too worried about this error. Low, and especially stopped heart-rate, is my most serious concern, and I believe the MIO Alpha is adequately reliable for these values. The MIO Alpha does not detect Global Positioning System (GPS), but GPS can be provided by the smartphone or other device through which the MIO Alpha communicates. I use a Droid Maxx smartphone which uses the Android operating system (Version 4.4), which uses Bluetooth low energy (Bluetooth 4.0). GPS can be reported on the many applications ("apps") that communicate with the MIO Alpha, including Runtastic, Wahoo, and the one written by Dennis Mathew. MIO is planning to release their own application in April, 2014. The Basis Health Tracker tracks many health parameters, including heart-rate, steps, calories, skin temperature, and perspiration. This data is all acquired continuously, although only by sampling every 2-3 minutes (my guess). Values are displayed on command, but the device will revert to displaying time, which consumes less power. Watch-mode gives a dim display, which will brighten upon touch. For these reasons the Basis has a roughly 80-hour battery life. And the Basis can be recharged without needing to remove it, by using a recharging device that mounts onto the watch that can charge from the USB port of a computer or from a power pack that can be carried in the pocket. So the Basis Health Tracker need not be removed from the wrist, except when bathing (it's not waterproof). My Basis Health Tracker communicates by Bluetooth with my iPad, my smartphone, and (via my smartphone) with the cloud. Which means that by means of my Basis application I can see 24/7 graphical displays of my health parameters (including heart-rate) on the MyBasis website — displayed on a graph that samples parameters every half-hour. MIO Alpha uses Bluetooth low energy (Bluetooth 4.0) for low power consumption, in contrast to Basis, which apparently uses any version of Bluetooth. The Basis Health Tracker seems to use proprietary software that does not allow for external user application software. MIO Alpha, by contrast, operates on an Android smartphone application that is amenable to applications written by anyone. The Android operating system is open source software, in contrast to the iOS operating system (used on iPhone, iPod, and iPad), which is a proprietary Apple, Inc. product. The application ("app") that Dennis Mathew has written for MIO Alpha is described in the CryonicsVitalSignsAlerts Yahoo Group he started, and is located on a subdomain of github.com. Dennis's MIO Alpha application can detect when the heart-rate stops or slows below a threshold value. When thus triggered, it begins cycling to dial up to 3 phone numbers in sequence, leaving SMS messages containing GPS co-ordinates of the phone sending the message, the phone number of the phone sending the message, and notification of an emergency situation. The GPS information can be typed into Google Maps. The settings section of the application allows for setting of an upper and lower heart-rate limit that will trigger the alarm. I have set the lower limit to 30 beats per minute (bpm) and the upper limit to 250 bpm. I am not much interested in the upper limit other than to ensure that it is never activated. My heart-rate can drop to as low as 40 bpm when I am sleeping, according to my Basis Health Tracker. The lower limit could actually could actually warn that the user's life was in peril — and thereby prevent a cryonics emergency by saving a life. Or it could result in a cryonics rescue team being dispatched early enough to significantly reduce the amount of ischemic damage following cardiac arrest, even if the cryonicist-patient does become legally dead. The settings section also allows for setting the number of times warning beeps will occur before the emergency dialing begins cycling — as well as the time between cycles of dialing attempts (the default is 30 seconds). The operation of the application can be started or stopped with a start button or stop button, respectively. Medical alert systems ("panic button" systems) have features which I believe can complement heart monitoring systems, the most important of which is the availability of a a call center 24/7 (all day, every day). Call centers provide 24/7 help that cycling phone systems cannot ensure. Fall detection, inactivity detection, and GPS are other features that may seem redundant, but which could provide reinforcement as well as possible life-saving or critical support in some scenarios. According to the CDC (Centers For Disease Control), a third of adults over age 65 fall each year, and falls are the leading cause of fatal and non-fatal injuries. 20-30% of the non-fatal falls lead to disability and increase risk of early death. According to the AARP (American Association of Retired Persons), the most frequent reason that fall detection pendants do not protect from fall injuries is that they are not worn. Smoke or carbon-dioxide detection are not needed for people living in apartments having such systems that will alert local supervisors. The last entry, TopTenReviews contains a handy comparison chart, but I come to different conclusions from the reviewers based partly on different priorities — favoring MobileHelp Mobile Medical Alert System. The TopTenReviews top 3 rated companies have a 1,000 foot range (larger than 3 football fields) for their base stations. But this is an unnecessarily large range for a person living in a typical house or apartment. The MobileHelp mobile device has a 600-foot range (two football fields). MobileHelp can be used thousands of miles from the base station (in the United States), although the mobile device cannot by itself detect falls. TopTenReviews falsely lists MobileHelp as having fees for activation and cancellation, as well as requiring a long-term contact. None of the other systems offers both a mobile device with GPS as well as fall detection. Philips Lifeline claims to offer the best fall detection system (multi-directional accelerometers) as well as good battery life". Fall detection is most essential for people who are frail. MobileHelp battery life is 24 hours for both the base station and the mobile device. TopTenReviews does not list prices, but all the companies charge monthly fees in the $20 to $50 price range — and MobileHelp is priced about in the middle. The MobileHelp system includes an "Automatic Fall Detection" pendant and a wrist-band with "panic button" and mobile device that can be taken when traveling away from the home. For a wrist-band to containing a fall detector, MobileHelp will charge an extra $10 per month, but this is only recommended for frail clients. The pendant or wrist-band will communicate with the base station when at home or with the mobile device when away from home. So a client wearing a pendant (or wrist-band with fall detector) could fall unconscious on the street thousands of miles from home, and emergency personnel could be alerted to come to the rescue at the place of the fall. Both the pendant and wrist-band are waterproof, so can be worn while showering, but they cannot be submerged under water. MobileHelp recommends testing at least once per month. A green light on the console with the word "TEST" flashes if testing has not been done within a month. The mobile device button can be tested away from home by pushing the panic button and telling the operator that the call is simply a test. 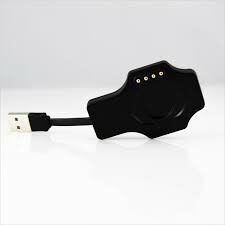 The console, wrist-band, or pendant can be tested at home by the same means. but it is important to stay close by the console during testing in order to tell the operator that the system is being tested. It is not necessary to call MobileHelp ahead of the test. Not listed in TopTenReviews is Electronic Caregiver, which has an inactivity detection system — which alarms if there is inactivity in a living space over a 24 hour period. Electronic Caregiver does not use pendants, believing they are too troublesome or easily activated in error. The wrist-watch panic button can communicate with the base station with a range of 1,000 feet. The inactivity detector is placed in an area of the house or apartment that is certain to be occupied at least twice in a 24-hour period (between 5 A.M. and 10 A.M., and between 5 P.M. and 10 P.M.). When a person expects to be away from home the inactivity monitor can be inactivated by pressing a button on the console. If the inactivity alarm is activated, Caregiver will first phone contact numbers to ensure there is no emergency. If away from home during hours monitoring for inactivity without having inactivated the inactivity monitoring, it is essential to have your cell phone for contact to prevent deployment of emergency personnel. More than once I have forgotten to inactivate that activity monitoring — or have stayed out in the evening longer than I expected and was phoned by Caregiver not long after 10 P.M. I spoke with an elderly cryonicist who lives alone and was wanting a medical alert system, but did not want Caregiver because of his irregular schedule and his fear of not properly inactivating the system in his absence. Caregiver recommends testing at least once per month, but Caregiver requests phoning their service department before testing to put the system in "test monde" as insurance against a false emergency deployment. The wrist-band panic button is not only waterproof, but can be submerged to a depth of as much as 40 feet. Therefore the wristband can be worn during a long bath. As an adjunct to my vital signs alarm systems, I obtained a KeyGuard LockBox to place on the doorknob of my apartment. Otherwise, anyone trying to gain entry to my apartment in the case where I was unconscious or legally dead would have to break the door. I have given my LockBox combination to both the medical alert call centers as well as the contact person(s) on Dennis's application cyclical dialing software. If I was actually legally dead, an autopsy might be mandated, but at least my cryonics organization and cryonicist allies would get an early warning that would facilitate efforts to prevent an autopsy. I presented a positive picture of the prospect for good vital signs monitoring and alarm systems for cryonicists at the January 23, 2014 meeting of the Church of Perpetual Life in Hollywood, Florida. (The presentation can be viewed on video) Since that time a number of problems have arisen which have impeded implementation of the system I believed was securely in place. My Basis Health Tracker is no longer visible as a Bluetooth device by my Droid Maxx smartphone. I intentionally unpaired it for testing purposes. Since that time I have been unable to even see Basis as one of the Bluetooth-available devices in my Droid Maxx, much less be able to pair with it — despite the fact that the Basis app is installed on my smartphone. When I contacted Basis tech support they informed me that access to the Basis Android app is currently not supported for the Droid Maxx, and they could not tell me when such support will be available. The only supported devices were a number of models by Samsung, HTC, and LG. My problems with the MIO Alpha were more serious insofar as MIO Alpha is an essential component of my vital signs monitoring system. The first problem was related to the location of the four MIO Alpha charging terminals located at the back of the watch. Because of their location, these terminals easily become corroded from sweating I do when I exercise. When I put my MIO Alpha on its charger the MIO Alpha display gave the message Check Charger Contact. I was able to scrape the corrosion off with the end of a paperclip — and I am careful to remove the device from my wrist after exercising to wipe off the perspiration. I have also had serious problems with attempting Bluetooth pairing with the MIO Alpha. Whereas in January I was able to Bluetooth pair the MIO Alpha, in February I lost the capacity to do so — at the same time I lost this capacity with Basis (I unpaired both at the same time for testing purposes). With Basis, Bluetooth does not even see the device in my smartphone settings, but with MIO Alpha my Droid Maxx Bluetooth settings area shows the device, but will not pair with it — despite the fact that I am able to pair with other Bluetooth devices. I phoned Verizon tech support about this issue, and, after their diligent efforts to fix the problem, they referred me to Motorola (maker of the Droid Maxx smartphone) tech support. Motorola tech support told me I should call MIO Alpha tech support. MIO Alpha tech support told me that the Android operating system is unstable with their product, whereas the Apple iOS is more reliable. MIO Alpha tech support also told me that pairing should be done within an app. MIO Alpha will not have its own app until late April, 2014, but I was informed that MapMyFitness is the most reliable Android app for MIO Alpha. I installed MapMyFitness on my Droid Maxx from the Google Play Store, but did not see how to make a Bluetooth connection to my MIO Alpha through MapMyFitness. When I called MIO Alpha support again, the consultant told me that changes to the Android OS made within the last few months have created instability. She told me that I should not try to connect through the phone settings, but should connect through the app. I went to the MapMyFitness website and looking though the questions and answers section found the page How Do I Connect A Bluetooth Heart Rate Monitor Or Sensor to the App? I followed the instructions, and was able to get a Bluetooth connection to my MIO Alpha. (MapMyFitness -> Settings -> Sensor Settings -> Heart rate -> MIO Global -> Connect) When I went to the smartphone settings I was still unable to pair. When I went back to the MapMyFitness app, I had been unpaired, but was able to re-pair. But not long thereafter I lost the connection, and when I tried to re-pair I got the message "Hardware sensor error — Unable to connect to service." The connection could be established through repeated efforts, but after each disconnect re-establishing the connection still required repeated trials. Once made, however, the connection is generally stable — not interrupted by phone calls or screen saver mode. In any case, the ability to connect Bluetooth through MapMyFitness does no good insofar as my objective is to pair with Dennis Mathew's app. Dennis has not had connection problems on his LG Nexus 5, which is using the Android OS. With all the recent breakthroughs, however, I am very optimistic about coming developments in 2014 and beyond. I was blaming my Droid Maxx smartphone for my Bluetooth problems in connecting with my MIO ALPHA, because Dennis told me he was not having a problem with his Nexus 5 smartphone. (Dennis is the Canadian cryonicist who wrote the 77K vital signs application for MIO ALPHA — 77K refers to the Kelvin temperature of liquid nitrogen). So I broke-down and purchased a Nexus 5 from Amazon in the Fall of 2014. My wireless service provider, Verizon, does not support Nexus 5. The main support for Nexus 5 is Sprint, which demands a two-year contract for wireless service. Fortunately, I was able to go to my local AT & T store and get a pay-as-you-go SIM card for my Nexus 5. It turned-out that Dennis did not report Bluetooth problems with his Nexus 5 because he had not been testing as thoroughly as I was. His wife would be irritated by the beeping when Bluetooth connections were lost at night. I was attempting 24-hour testing, but never succeeded in maintaining a Bluetooth connection for that long with either my Nexus 5 or Droid Maxx smartphones. On occasion, I would lose the Bluetooth connection with MIO ALPHA with both smartphones at once — leading me to blame MIO ALPHA rather than the smartphones. But on other occasions the Bluetooth connections would be lost independently from both smartphones. The pattern was erratic. 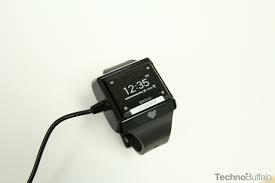 In the Fall of 2014 I purchased a Moto 306 Android smartwatch which communicates with my Droid Maxx smartphone. I can actually speak into my Moto 306, ask for my heart rate, and get a reading. But, unlike MIO ALPHA, the Moto 306 only gives heart-rate on request rather than continuously. As with my MIO ALPHA, the Bluetooth connection between by Moto 306 and my Droid MAxx smartphone is often lost. I have yet to find devices that maintain a reliable, 24-hour Bluetooth connection. I attended the Consumer Electronics Show (CES) in Las Vegas in January 2015 — my third consecutive year attending this event. There were too many health and fitness watches giving heart rate to report on. Most did not give continuous readings, only readings on request. Many of these watches give calories, GPS tracking, and even percent body fat (among other features). MIO ALPHA has expanded its product line to meet the competition. The MIO ALPHA 2 not only records heart rate, but gives calories burned (based on heart rate) as well as running pace, speed, and distance based on an accelerometer. MIO FUSE gives similar data. MIO LINK gives continuous heart rate monitoring, but only has an 8-hour battery life (good enough for athletes). BASIS PEAK replaces the original BASIS watch. Unlike the original BASIS, BASIS PEAK cannot be recharged while being worn. But the battery life is at least four days because it samples heart-rate every ten minutes, rather than continously. That is probably good enough for cryonics purposes, especially given that the watch can be worn continuously for so many days. Although I had Bluetooth problems with my original BASIS, so I am not expecting much more from BASIS PEAK. An open application is in development, which means that Dennis (or another developer) could write an application that communicates with the BASIS PEAK when the open application becomes available in a few months. I saw 2 earlobe heart rate monitors at the Consumer Electronics show: SensoTrack (24 hour continuous monitoring battery) and Flip (20 hour continuous monitoring battery, smaller device) neither of which are yet on the market. The Flip salesman told me that there API is open, but a "key"must be requested on the grounds of privacy. (Many of the watch devices say they do not have open access based on "privacy" concerns — although I suspect it is more a matter of protecting proprietary software in most cases.) Reportedly, the ear gives more accurate heart rate data than the wrist. Although the development of heart-rate monitoring devices is now rapid and encouraging, I will remain discouraged until Bluetooth connections become more reliable (or until Future Electronics perfects an all-in-one smartwatch for vital signs montitoring). I have not updated this page for a while, and I must admit I have returned to being somewhat cynical again after my surge of optimism a couple of years ago. Which does not mean that nothing has happened. For the fourth year in a row I attended the January Consumer Electronics Show (CES) in Las Vegas. The main thing that I have to report is that I spoke to a representative from Intel Corporation (which acquired BASIS PEAK in the Spring of 2015), and was told that Intel has no immediate interest in making open application development available for BASIS PEAK (although they say they will eventually do so). Apple Corporation does not attend CES, but the most positive thing I have to report is that I acquired an iPhone and Apple Watch, and that a heart monitor application has been written for the Apple watch which appears to provide most of the alarm system functionality that cryonicists would want. The biggest downside is that this application has not been released. My guess is that the FDA would require a billion dollars worth of testing before approval, and even if FDA approval was given, a prescription would probably be required. As I mentioned in my 2011 update, Nuvant mobile cardiac monitor is already available on prescription. A lesser downside is that I tested my Apple watch for continuous heart monitoring, and it ran out of power after six hours. An upside is that I have had much greater success in establishing and maintaining wireless and bluetooth connections with my Apple devices than I have had with my Android devices. Unreliable wireless and bluetooth connections has contributed considerably to my renewed cynicism. I recently acquired an Oura ring, which reliably connects with my iPhone, whereas I have been unable to connect with my Android MAXX smartphone at all. EMFIT Corporation had a display at CES which featured Emfit QS (Quantified Self) and Emfit Safebed. Safebed would presumably be useful for cryonicists who might die in their sleep, but Nick Pavlica's Rescue-Tel (which he is no longer working-on) used the Emfit console. I spent a lot of time struggling with the Emfit console, and had many problems trying to get the thing to work. In November, 2015 the Cryonics Institute released their CI Check-In app, which will dial a list of phone numbers if the user does not "check-in" at least once per day. I will be interested to hear about CI's experience with this app. SOS QR is a panic-button type system which could provide useful information in some medical emergencies. Electronic tatoos is another promising technology [SCIENCE; 333:838 (2011)]. This posting is a minor update to my March posting. Having used the Apple watch for many months, the main thing I am noticing is the rapid and reliable connection that it makes to the iPhone. I contrast this with unreliable bluetooth connections I had experienced between my MIO ALPHA watch and my Android phone. Similar problems exist for my Android phone and BASIS PEAK watch and even OURA ring. I speculat that this benefit is due to the fact that Apple is one company making the watch and the phone, and can therefore make more reliable bluetooth connections than phones and watches/rings made by different manufacturers. In September, 2016, Apple has released the Apple Watch 2. GPS is a step in the right direction, but not far enough for cryonics purposes. I will probably get the new Apple watch. Battery life is not much better. Note that the article I linked two says battery life is still a day-and-a-half, but continuous monitoring of heart-rate consumes more power, and in my experience drained the battery in about six hours. BASIS PEAK is being discontinued entirely in December 2016. According to this press release the watch was giving some people skin blisters. Plans are underway for a cryonics-devoted watch that will not depend on a cell phone. I have heard such plans before, but this one seems more convincing that the previous ones. For the fifth year in a row I attended the January Consumer Electronics Show (CES) in Las Vegas. Technology is advancing in directions closer to providing a vital signs monitoring system suitable for the needs of cryonicists, but the wait continues. Miniturization of electronics is part of the favorable trend. More ring-like devices are providing functionality formerly only found in watch-like devices. Continuous glucose monitoring devices are getting better, and are becoming more available, such as the FreeStyleLibrePro. But like many of the vital signs monitoring systems, they require a prescription. Nonetheless, it appears that a watch-like glucose monitoring device (although not continuous), will reportedly be available by the end of 2017: K'Track Glucose, and may not require a prescription. A Holst Centre smart shirt monitoring vital signs may soon be available for both medical and athletic applications. Concerning watch-like devices, the Polar M600 is surprisingly disappointing.I could not get the watch to make a bluetooth connection with my cell phone. On the other hand, Withings Steel HR can monitor heart rate and sleep information continuously (only displaying upon request), while able to go for more than three weeks without requiring a recharge. The iBeat heart monitor is by far the most promising vital signs monitoring watch device I have ever seen advertised. This watch provides nearly all the features I have hoped for, without needing to be paired with a mobile phone. I can hardly believe that the FDA would allow this device to exist without requiring a billion dollars in testing, and availability by prescription only. The watch will reportedly be available by the end of 2017. It has been two years since I wrote my last update to this page. I was a beta-tester for the iBeat, for which I had great hopes. I documented many problems I saw with the watch, but eventually it required recharging every few hours and finally could not be recharged at all — upon which I sent it back to the company. After the beta-test period, the iBeat company sent me a supposedly consumer-ready watch, but it was defective, so I returned it asking to be sent a non-defective replacement. Instead, I was sent a refund. I know of two other people who had ordered an iBeat watch, one of whom got a defective model which she returned in anticipation of getting a replacement, but has not received. The other person still has not received even one watch. He initially was being told by the company that the watches were being shipped in the order by which the orders were received, but he says that the company is no longer responding to any of his communications. There are many similar complaints on the Better Business Bureau website, although the iBeat website is still actively soliciting orders. I now own an Apple series 4 OS5 watch. An ideal vital signs alarm system for cryonicists would detect stoppage of the heart and send an alert to a call center as well as to a list of personal contacts. Although the Apple series 4 OS5 watch has many features valuable to cryonicists or any survival-oriented elderly person, it does not have the feature of alerts sent with cardiac arrest. My Apple watch is paired with my iPhone, but has a distinct phone number from the iPhone which allows independent access to cellular services in addition to WiFi and iPhone enhancements. Location services use a combination of satellite-based GPS (which can be better for outdoors) and Wi-Fi positioning system (which can be better for indoors). The new Apple watch has one automatic alerting system, namely fall detection. If fall detection is activated, upon the event of a fall the user gets a notification from the watch if emergency services should be contacted. If there is no response, 911 emergency services (in North America) is automatically called. It is possible on the iPhone app to specify additional people to call in such an emergency. If the Apple watch has information about your age, fall detection is activated by default for a person over age 65, but not for a person under age 65 (who must consciously activate this feature). Football players would not be advised to activate fall detection. I discovered the feature by accident because I am over 65 and I slipped on some ice. I didn't actually fall (I caught myself), but the Apple watch responded as if I did, so I had to respond to prevent 911 from being called. One advantage of the MobileHelp Mobile Alert System is that it communicates with a call center where you can communicate with an operator, rather than directly calling 911. The call center would have information about persons or organizations you want contacted, in addition-to or instead-of 911. The disadvantages are that you must be conscious and that you must pay for the call center services. As I previously described, most medical alert systems involve panic-button type devices. Reportedly, only a fifth of persons who own these devices actually wear them, because they are more bulky, inconvenient, and stigmatizing than a watch-like device. A valuable feature of the Series 4 Apple watch could be its ability to detect atrial fibrillation, a condition that can lead to fatigue, to heart failure, or to stroke resulting from blood clots. According to the Centers for Disease Control and Prevention (CDC) about 2% of people under age 65 and 9% of people over age 65 have atrial fibrillation. Many people have the condition without knowing it. A typical electrocardiogram (ECG) has ten electrodes. The series 4 Apple watch acts like a 2-electrode ECG when the user holds the watch-crown with a finger for 30 seconds. The back of the watch acts as the second electrode. Although this feature does not have all the diagnostic capabilities of a ten electrode system, it has the potential to detect atrial fibrillation. In a large study of over 400,000 people, two-thirds of those who reported atrial fibrillation with the Apple watch were not confirmed to have atrial fibrillation. But the other third may have benefitted. The iPhone of the series 4 Apple watch can be set to send a notification to the wearer if heart rate is above or below a preset limit for over ten minutes. The upper boundaries range from 100 to 150 beats per minute (bpm), and the lower limits are 40, 45, or 50 bpm. In some cases a declining heart rate can warn of impending death. But in the case of sudden death where the heart stops completely, notifying a dead person that the bpm is too low is of no benefit. A cryonicst would want automatic notification of a call center or selected contacts.